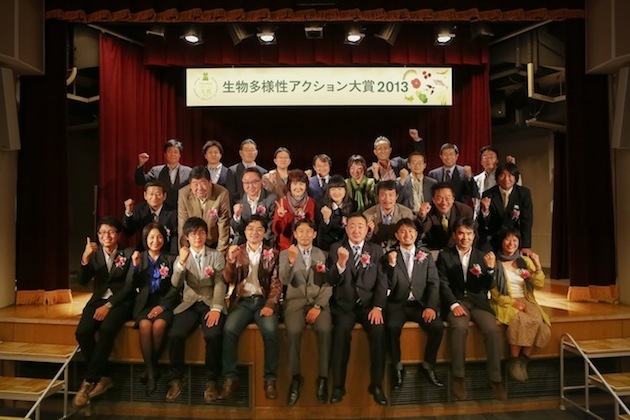 The Executive Committee for the Biodiversity Action Awards announced on November 3, 2013, the winners of this year's awards, with the Grand Prix given to a traditional cooking program using food items harvested from Lake Biwa, which was promoted by Eco-Idea Kids Lake Biwa (known as I-Kids) in Shiga Prefecture. The purpose of the cooking program is to make children aware of their unique traditional culture, nurtured by the food items harvested from Lake Biwa, and the local indigenous species, as well as to develop attachments and pride in their community. Children learn about the traditional culture, inter-personal relationships, and biodiversity by talking face-to-face with fishermen and farmers. The Executive Committee consists of members from the Japan Committee for the United Nations Decade on Biodiversity (UNDB-J), the Seven-Eleven Foundation, and CEPA (Communication, Education and Public Awareness) Japan. Recognizing the importance of touching, feeling, and knowing about biodiversity for its conservation, UNDB-J promotes five actions -- Eat, Feel, Show, Conserve and Select -- under the program "My Declaration for Five Actions." The awards program is to recognize activities implemented by an individual or groups nationwide. This first awards program received 122 applications. Other winners include a joint project by Sompo Japan Insurance and Nipponkoa Insurance Co.'s community-participation-based biodiversity conservation activities "SAVE JAPAN Project - Let's protect endangered species and rich natural environment throughout Japan."